If you’re staying downtown or at any of the conference hotels, the Power and Light district provides convenient places to eat, drink, and connect with friends due to its close proximity. Only a couple of blocks from the convention center, this district offers a WIDE variety of retail & restaurants. Although some of the restaurants are national or regional chains, the offerings here represent a variety of ethnicities and styles of food and many are roomy enough for large parties of people. Cosentino’s Market is right on the edge of Power & Light. If you missed our earlier blog about the magnificence of the market, check that out here. 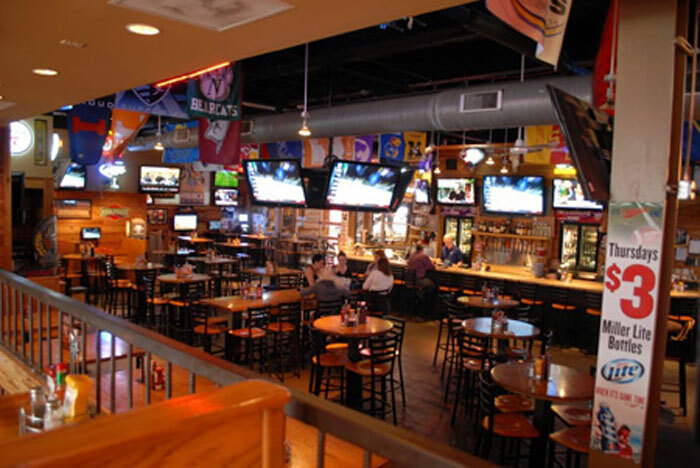 Johnny’s Tavern, which is a small regional chain that began in Lawrence, KS, is always a great place for an incredible “world famous” burger, or wings. And while Johnny’s also has delicious Pizza, it’s hard to compete with the an actual Pizza Bar, which is a Kansas City original. Take a few friends and share a few ‘zas, because with the wide variety of options, it would be hard to pick just one! Looking for a healthier option? Locally owned and operated, the Mixx offers the freshest ingredients and a variety of creative concoctions in the form of its homemade salads, soups and sandwiches. 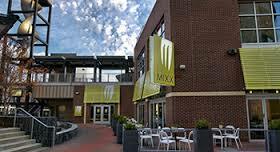 The Mixx serves breakfast, lunch and dinner and also features seasonal grab-and-go meals and advance ordering options, which are ideal for conference attendees! On the other hand, if you want to treat yourself, try the family owned and operated, Mema’s Bakery. If you’ve never had Povitica, definitely don’t have theirs. It will spoil you for the rest of your life. Power and Light is also one of the biggest hotspots for night life. You’ll find plenty of bars, clubs and often live music. You can Howl at the Moon at a trendy dueling piano bar, or feel a little devilish at Angel’s Rock Bar, or be independent and do your own thing at the Indie Bar, which, although it’s designed to be a pre-show-at-the-midland drink or post-show nightcap spot, is too hip & chill to skip. Wherever you chose to get your groove on, know that bars in KC close at 3am. 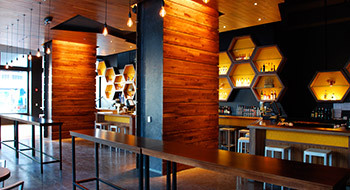 Check out Dine-Drink-Play for a list of more places to eat, shop, and drink in the nearby Power and Light District.